Philadelphia 76ers general manager Elton Brand called Los Angeles Lakers president of basketball operations Magic Johnson Monday afternoon to apologize for insinuating in a radio interview that the Lakers had called – unprompted – to ask permission for Johnson to speak with Sixers forward Ben Simmons, league sources told ESPN. In the interview with 97.5 The Fanatic on Monday morning, Brand said, "Rob Pelinka called me and said that Ben wanted to talk to Hall of Famers after the season, Magic was on the list. The Lakers issued a statement later Monday that read: "To clarify, last November the 76ers sent an email to the Lakers asking if Ben Simmons would be able to speak with Magic Johnson about his Hall of Fame playing career. 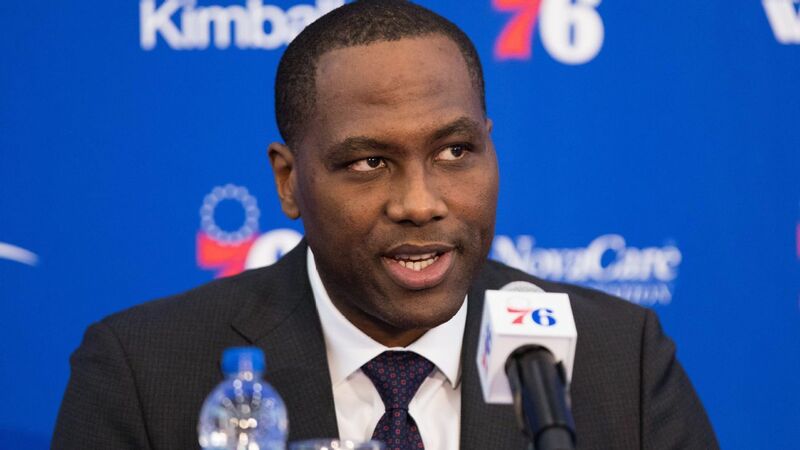 Fter receiving the email request from the 76ers, Lakers General Manager Rob Pelinka contacted 76ers General Manager Elton Brand and informed him that Magic could only do so if the 76ers gave him pre-written approval. NBA spokesman Mike Bass told ESPN on Monday, "The league office is looking into whether any contact took place between Ben Simmons and the Los Angeles Lakers that violated NBA rules." "I have a great relationship with Ben and [his agent] Rich [Paul] and we expect him to be a Sixer for a long time," Brand told ESPN's Adrian Wojnarowski. "He has taken interest in chatting with some of the game's all- time greats and we're supportive. 1; end of story. "